Prompt response to inquiry. Prompt quote. Detailed contract. No Sub Contractors, properly insured and provides proof of insurance. A+ Rating with Better Business Bureau. Says what he does. Does what he says. No hidden surprises or “extra costs” Work done quickly and professionally. Workers are professional, and clean up after themselves. 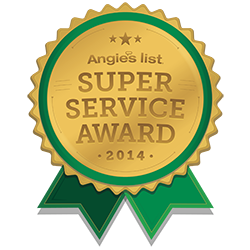 Best Long term leak and product warranties.